Indonesia produces 1 million maricultured corals per year in average, and 10 % of the corals are transplanted back to the reef in restoration efforts. It is estimated that 1 hundred thousand corals per year are transplanted back to the reef! Coral mariculture provides an income for many coastal communities. It is estimated that 300 households benefit from coral mariculture across Indonesia. Coral mariculture started in Indonesia in 1998, with research into the types of small-polyped, fast- growing corals, including Acropora and Seriatopora. In 2002, the Government stipulated that all exporters of wild coral had to start coral mariculture. 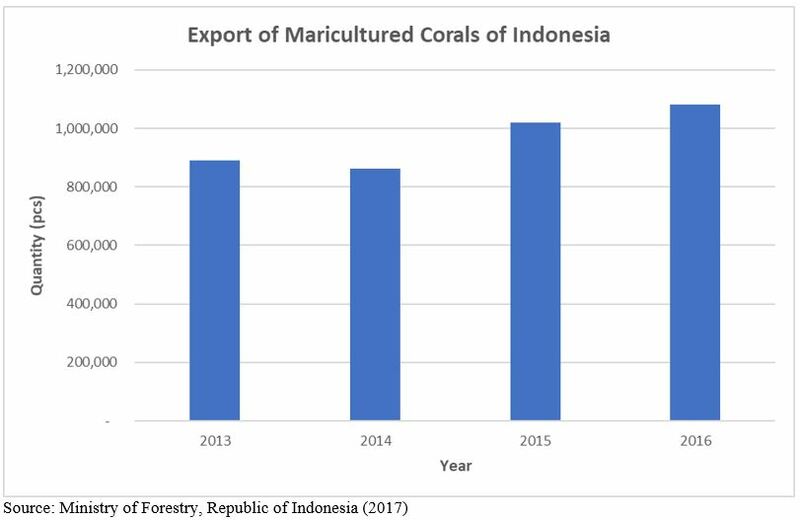 The first export of maricultured coral from Indonesia was in 2002, with the majority of exported species being fast-growing and small- polyped species. Regulation of Director General of Forest Protection and Nature Conservation (Ministry of Forestry) No. 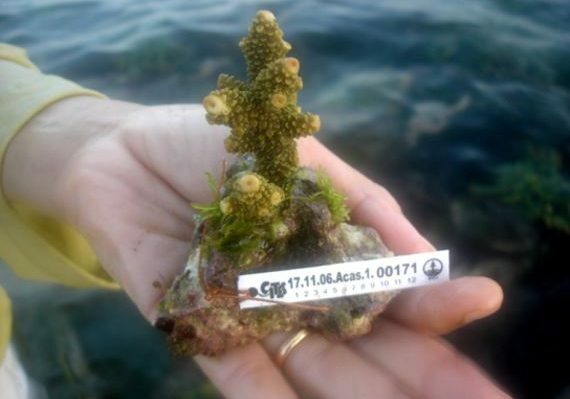 P.4/IV-SET/2011 about Audit Guidelines of Maricultured Corals. unit/farmer’s name, year of propagation, species code, generational level (i.e. second fragmentation), fragment number and region of origin.